1. Preheat oven to 400 degrees. Prepare the almond cream by placing butter, scant 1/3 cup sugar, almond meal, egg yolk, flour, and almond extract together in a large bowl and mixing together to combine with a spatula. 2. Spread the cream in the base of a pie dish to cover bottom. 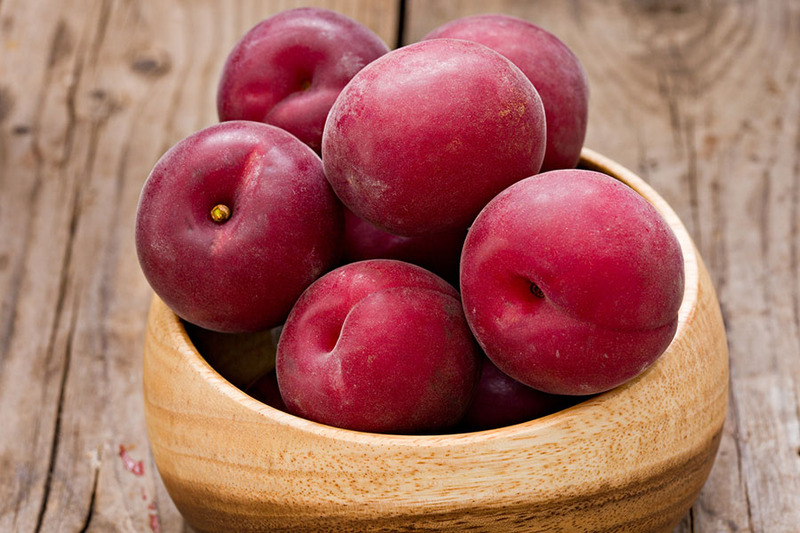 Arrange pluot slices on top of almond cream and sprinkle with cinnamon and additional 1 tsp sugar. 3. Place dish in oven and bake for 20 to 25 minutes.